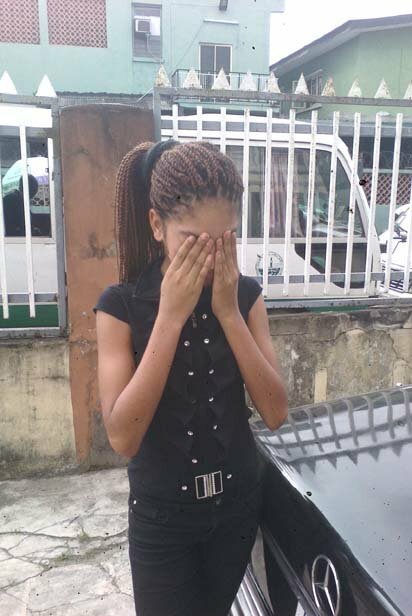 For 14 year old Angel Macleod, October 26, 2010 may remain indelible in her mind for that was the day that a policeman murdered her 38 years old mother, Beauty Nwankwo, at a Lagos hotel. 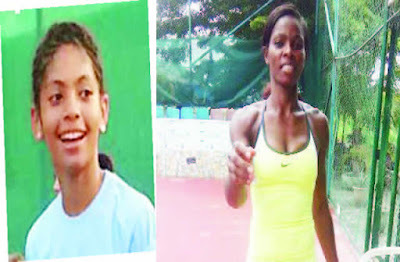 A rising Chevron tennis star, Angel had returned from Accra, Ghana, the previous day, after participating in a tournament and mother and daughter were lodged at a guest house somewhere at Victoria Island. Angel is actually yet to come to terms with the development as she still finds it difficult to believe that she will never see her beloved mother again, forever. And to compound her problems, Angel does not really know who her father is, that is if one actually still exists. “I just keep thinking that it’s not true,” Angel cries, noting that, “every time I think about it, I just break down and life feels strange without her. My father is not here. I don’t know where he is. I don’t know who will replace my mother. Apart from her dream to rule the world of tennis, the late mother was all she had. Beauty had prodded her on, leading her to various tournaments both within and outside the country, preparing Angel for a possible role in the future as a tennis star. Angel Mcleod and her mother who was killed by police. Still in tears, Angel wants to see the corpse of her mother before burial, “to actually confirm that she is dead. ” Then she has another request – to see the policeman who killed her mother. “I am not going to do anything to him. I just want to see who killed my mum,” hopefully before he faces the wrath of the law. professional, a development which may attract global attention as in fact, she says she is determined to be the Maria Sharapova of African tennis.